Switzerland: Radiodays Europe 2019 has posted its preliminary programme. I’m speaking, but don’t let that put you off: there are also many excellent speakers (and my session is also with Tom Webster of Edison Research). Podnews last week carried a promo code that can save you €160 on your ticket. UK: Scala Radio to launch – a new classical music station with Simon Mayo, who left BBC Radio 2 at the end of last year. The two classical stations in the UK sound very posh, and this one might be a little more accessible. Adam Bowie has looked at where it might fit. Jon Jacob is excited by it. 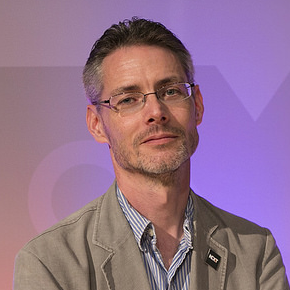 UK: Phil Riley has been number crunching both Virgin and Scala Radio, working out what the stations need to do to make profit. He’s very good at this. Australia: Commercial radio in Australia posts highest ever figures for audience. Yes, population growth is 1.7%, but commercial radio’s audience figures are up by 1.9% if I’ve worked it out right. Audience revenue is also up by 3.4% year-on-year. UK: A long piece in The Guardian about the BBC Sounds app. It, er, isn’t very positive. Austria to get more radio as it adds DAB+. UAE: A thread on how to do a decent job with a radio demo tape. US: TuneIn Closes Record Year With 500M+ Monthly Listening Hours, 31 Percent Increase In Overall Listening Hours. Yes, they’re “our” hours for our radio stations, and I’d wager are mostly driven by smart speakers, but we should be happy for them – that’s a significant good news story for radio. UK: The BBC experiments with radio interfaces. It’s this kind of work that makes the BBC great, and their sharing it is even more useful. Korea: Video can’t kill the radio star – it’s a fascinating market, Korea, and very much driven by video and television. Malawi: Capital FM’s studios look a bit different.